The year 2015 has been a year of rearrangement, growth and isolation for me during my Christian walk; in particular, concerning the people in my life. The Lord has rearranged my friendship circle, brought individuals who have helped me spiritually grow, and kept me isolated to spend more time with Him. The discontinuity within friendships is never an easy one to comprehend: in particular, when God mysteriously removes people from our lives. One wonders: “Why would God remove this person? We have been friends forever”. 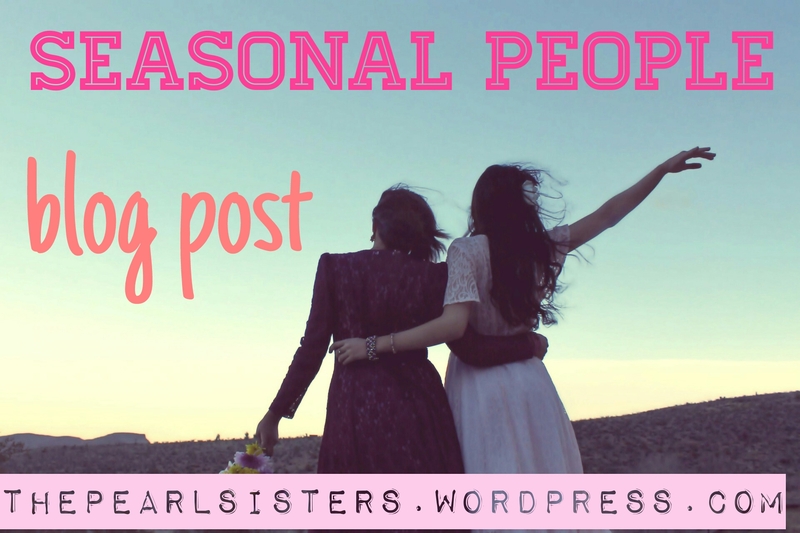 These friends are seasonal and have fulfilled the purpose God had for them in your life. When this disconnection occurs, one may feel a number of negative emotions. However, remember that God knows what He is doing and sees ahead of time (Isaiah 46:10 “I make known the end from the beginning, from ancient times, what is still to come. I say, ‘My purpose will stand, and I will do all that I please”). In addition to this, rearrangements allow us to move unto the next stage in our lives without hindrances. Not long ago, I went through one of the most difficult seasons I have ever witnessed in my life. I was being tested in every area of my life and unable to cope. It was as if God was playing hide and seek with me and the trials and tribulations of this world had really gotten to me. I had not guarded my heart and the deceits of this world had started to creep in. I had gotten to a place where I was so overwhelmed and asked God to take me home (thank God He doesn’t answer all our prayers). But I remembered what Jesus did when the trials of this world got to Him (Mark 14:36 “Abba, Father, he cried out, everything is possible for you. Please take this cup of suffering away from me. Yet I want your will to be done, not mine). So I cried unto the Lord and asked Him to give me the grace to keep walking. And out of the blue, people started calling me saying that God had placed it unto their hearts to pray for me. Others had visions and dreams of my pain. These individuals were not my usual friends or people I would usually turn to in tough times. In fact, those people actually turned their back on me during this season. The individuals God sent were seasonal people, who helped me overcome the battles and pass the test. Recently, I was not feeling too well and spent the day at the hospital. Unable to walk properly and in excruciating pain, I decided to download the UBER app to take a taxi home. However, for some reason the app refused to fully download and kept freezing at 2%. I turned my phone on and off, sat in various positions to get reception (though I had full reception) and it refused to load. I decided to give up and cross the road and take a bus home. In the far distance, I saw a lady cross over the road and walk towards me. Upon arrival she said: “ Excuse me, the Lord has told me you are in pain and that I need to give you a lift home”. I was in so much shock “Could this really have been God?”. I decided to take the leap of faith and went along with her to her car. I sat next to her daughter who was about 7-8. I asked her what her name was and she said Vanessa Anne (my full name is Vanessa Annelies). At this moment it hit me that God was with me, in fact He never left! I just want to encourage you today to keep pressing on and keep walking. Our Christian walk is packaged with many challenges, but God will always bring someone to pray for you or use them to show you that He is still with you. Thank God for the people He has brought, the people He has taken away and the seasonal people He is bringing to help you reach your destiny. Do not be upset when people leave your life, they have fulfilled their purpose. Allow God to rearrange your friendship circle, He knows what is best for you. Do not look at people you have helped to stand there with you during difficult times. 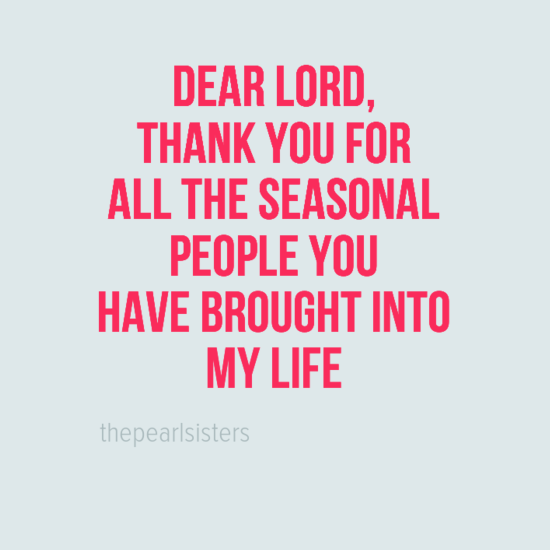 God will send His seasonal people to stand with You. Periods of alone-time are good, it allows you to hear God’s voice more clearly and have an intimate relationship with God. When times are tough, look unto God and not unto man (1 Samuel 30:6 David was greatly distressed because the men were talking of stoning him; each one was bitter in spirit because of his sons and daughters. But David found strength in the LORD his God). People will always disappoint you, but God never will (Psalm 118:8-9 It is better to take refuge in the Lord than to trust in humans. It is better to take refuge in the Lord than to trust in princes). 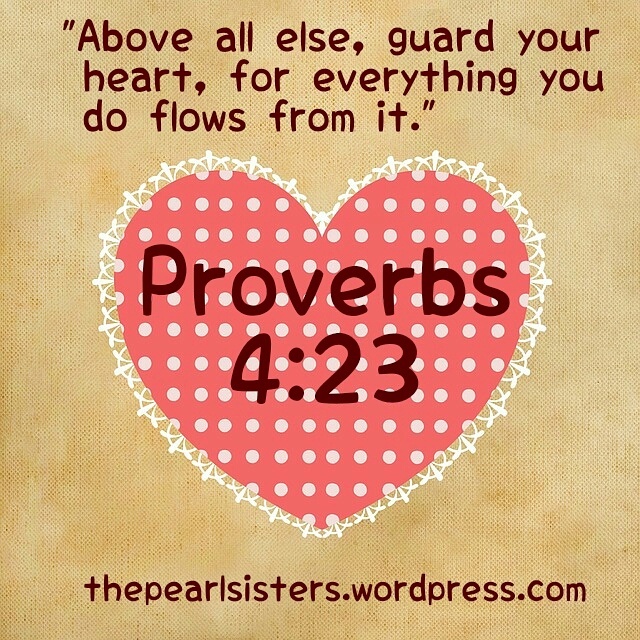 Guard your heart (Proverbs 4:23 Guard your heart above all else, for it determines the course of your life). Focus on God and all things will fall into place (Colossians 3:2 Set your minds on things above, not on earthly things). You are not forgotten and God has placed you unto the hearts of His servants to intercede for you (Galatians 6:2 Carry each other’s burdens, and in this way you will fulfill the law of Christ). Ask God what He is trying to teach You in this season and ask Him help you to pass the test. Strive to please God and not man. All other things will fall into place (Matthew 6:33 But seek ye first the kingdom of God, and his righteousness; and all these things shall be added unto you). I’ve been struggling with a few changes of late. Thank you so much for the much needed encouragement, an answer to prayer. God bless. Insightful post. Thank you. I concur especially with the admonition to ‘guard our heart’ as our thoughts can either lead us to God or away. The battlefield truly is the mind as 2 Corin 10:5 tells us. Hi iam the lady that gave her a lift and iam very humbled by what was written. I was afraid to approach her because I wasn’t sure on the response it was only because the lady that I came to collect from hospital had told me that she was unable to get a lift from her friend. Iam not sure who is more moved by the event me or her because I have been going through my own spiritual battles and was doughting weather god could use me because I didn’t I was ready or worthy. Great post. I can definitely relate about this year just being a year of rearrangement. I experienced when I left my first year of college with badocsllt no friends. I was completely content with it although I didn’t understand that He had planned for me to surrender to Him this summer. Not having those distractions helped me get really close to him without the distractions. We just have to remember that He knows EVERYTHIHG and that He will never forsake us. We just have to trust Him. Really loved the post! Praise God He was watching over you the whole time. He is so good to us His beloved children. Thank you for stopping by and reading my latest post. That was encouraging. May Christ richly bless you throughout your day. Amen! Loved this post. Wish I had stumbled on your site earlier than this.Keep up the good work. Wow this was spot on! Throughout my Christian walk, I have experienced pruning in relationships and having individuals selected from the Lord sent to help me — and they were usually not those closest to me, but those I didn’t expect. In 2013, I had a close friend hurt me in a way that made me ill; but I realized that it was the Lord taking them out of my life with purpose. When we see Paul and Barnabas split over a disagreement, we realize that God’s people are real and human and don’t always see eye-to-eye. We will have all types of relational “break ups,” but God’s purpose and plan will always prevail when we put him first and accept that his plan is not ours. Thanks for this post! Happy holidays to all of you! May God bless the work you do in His true name!